Hialeah is a city found within Miami-Dade County in Florida. It’s the sixth largest city in the state with a population of about 235,000 residents. The city is also one of the major cities found in the South Florida Metro area, which has a population of nearly 6 million people. Hialeah is also the area of Florida with the largest Spanish-speaking population, which attractions companies, such as Telemundo to the area. With many international visitors and residents in the area, the styles of drivers vary greatly. Since Hialeah is a part of the Miami area, it also sees plenty of visitors coming through the area every year. Hialeah is found near many major highways and interstate including Homestead Extension of Florida's Turnpike, State Road 924, US 27, Interstate 95, Interstate 75 and State Road 826. These major roads are not the safest and many drives use them every day. I-95 is known as the most deadly highway in the country for the Florida portion. I-75 is listed as the 15th most deadly highway in the US for the Florida portion. About 45,000 car accidents happen in Miami-Dade County every year with about 38,000 injuries caused by the accidents. Along with the many residents in Miami-Dade County, millions of visitors come to the area ever year. Traffic accidents in Hialeah and Miami-Dade County are on the rise. If the traffic rules in the area were not enforced, these statistics would be far worse. For the year 2015, about 470,000 traffic tickets were given to drivers in Miami-Dade County. Nearly 90,000 drivers were caught speeding, while red light cameras caught more than 160,000 drivers running red lights. Another 54,000 drivers were ticketed for careless driving. These offenses are some of the most dangerous and often lead to accidents. Points for traffic tickets range from 3 to 6 points with leaving the scene of an accident and causing an accident while speeding as the 6-point offenses. Other offenses will put 3 to 4 points on your license. It only takes 2 to 4 tickets in a 12-month period to end up with a suspended license. If you want to keep the points from your traffic ticket from going on your license, you can do so by taking online traffic school. The basic driver improvement course is offered online and will allow you to avoid points from going on your license. This course will also keep your insurance rates from going up from your most recent ticket. 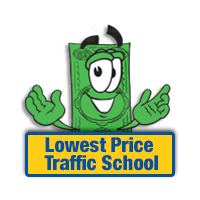 All you have to do is plead no contest or guilty to the ticket, pay the fine and enroll in traffic school. Once you complete the course, just turn in your certificate of completion to the clerk of the court, and you're all set. 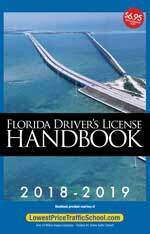 The State of Florida allows drivers to use traffic school to avoid points once every 12 months. You can use it up to five times in your lifetime, as well. If it has been at least 12 months since you have taken the basic driver improvement course and you haven't taken it five or more times, you're eligible to use traffic school to avoid any more points on your license. Any traffic ticket issued in Hialeah, Florida will be processed by the Miami-Dade County Clerk of the Court. It doesn't matter which branch of law enforcement issued the ticket, the clerk of the court provides all the necessary information and takes your payment. Make sure you inform the clerk of the court if you wish to enroll in online traffic school. You can find out all the information you need at the Miami-Dade County Clerk of the Court website.